"Bandstand, Boogie, & the Brill Building"! We are always looking for help with fund raisers, concert production, and advertising. Plus, we always need volunteers to help out during our concerts. Keep up on the latest happenings, gigs, fund raisers, and general Another Octave news. Just click HERE to sign up for our newsletter. 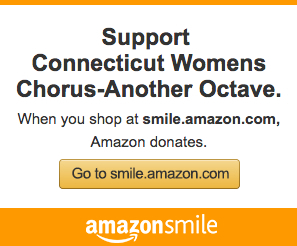 Thank you for visiting Another Octave: Connecticut Women's Chorus.